Time to hit the trails! And our friends at Ridgemont have THE shoe for us TrailblazerGirls! 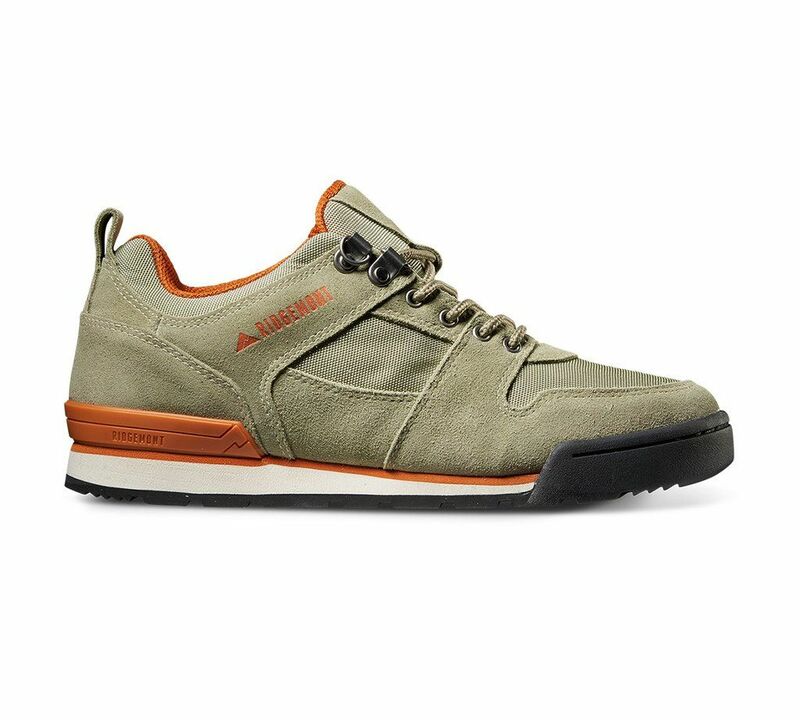 The Monty Lo is a solid shoe described as a classic hiker that’s been slimmed down. Don’t be worried that they run narrow because this TrailblazerGirl’s slightly wider feet fit very comfortably in these true to size shoes. They provided excellent traction on varied terrain on a recent trip to Mount St. Helens – dirt, rocks, paved paths and snow were no problems with these babies! They are designed to be flexible at the ball of the foot and more rigid from the arch to the heel making them immediately comfortable (read: no blisters!) and responsive. Other key features are the water repellent coating (much needed here in the Pacific Northwest! ), an antimicrobial insole, a heel stabilizer, and a high density rubber lugged sole. The Monty is an excellent pair of shoes for all your TrailblazerGirl adventures.